"This is the changeless faith of God, eternal in the past, eternal in the future." Bahá’u’lláh, the Founder of the Baha'i Faith, compared the world of humanity to the human body. Within this organism, billions of cells, diverse in form and function, play their part in maintaining a healthy system. The principle that governs the functioning of the body is cooperation and synergy. Its various parts do not compete for resources; rather, each cell, from its inception, is linked to a continuous process of giving and receiving. The parts cooperating as a whole advances a new creation. Acceptance of the oneness of humanity demands that prejudice—whether racial, religious, or gender related—must be totally eliminated. Our Chattanooga Baha'i Web site is a continual work in progress - new information is always being added. Be sure to check back frequently to see what activities are listed. Welcome to the official website of the Bahá’ís of Chattanooga! Learn more about the principles of the Bahá’í Faith, arrange a meeting with some of the believers living in or around Chattanooga, or join one of the many ongoing activities throughout the city. In addition to our center in Hixson, there are numerous opportunities for prayer and devotional gatherings, children's classes, teen workshops and adult study classes that meet throughout the week. Contact us and let us know how you want to be put in touch. 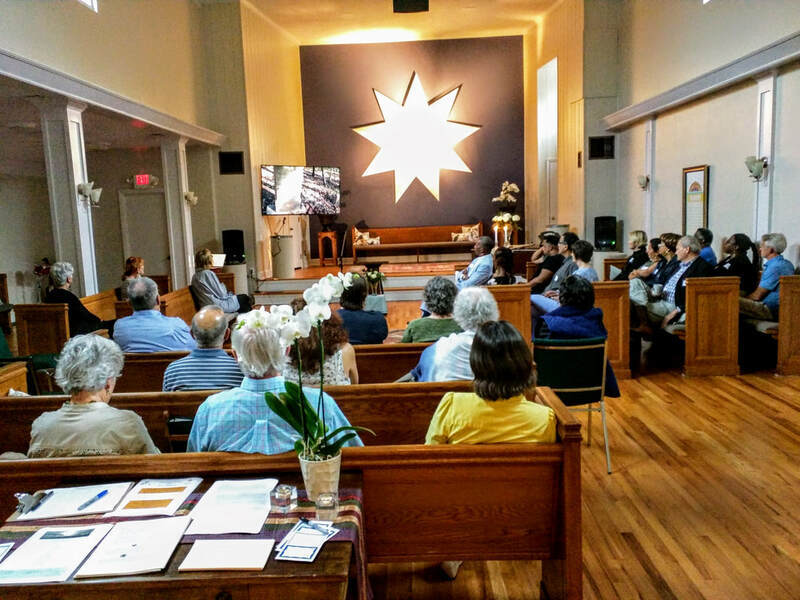 Our regularly held public event is a devotional gathering, which takes place each Sunday morning at 10:30 a.m. at our Baha'i Center in Hixson, TN, followed by fellowship activities. Also, there are many Holy Day commemorations throughout the year, please check our calendar or for dates and locations. Come visit us. All are welcome. ​There is a new Baha'i Bicentenary web site announced to the world from the International Center in Haifa, Israel.